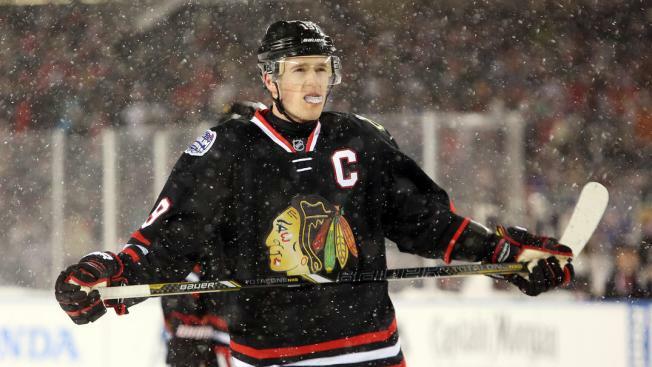 Last week, HBO revealed that they would not be airing “24/7: Road to the NHL Winter Classic” this season. That meant fans who were looking forward to getting a behind-the-scenes look at the Chicago Blackhawks and Washington Capitals before their game at Nationals Park on New Year’s Day were going to leave empty-handed. That all changed on Monday morning, however, when sources told ESPN.com’s Scott Burnside that the television network Epix will be airing a similar show to “24/7” in December. The program will be commercial-free, just like its predecessor, and the show will be available to stream online. Epix is not available on DirecTV, Comcast, or RCN, by the way, so that Winter Classic show is going to attract loads of eyeballs in Chicago. Even if your cable or satellite provider doesn't carry Epix, the Burnside report reveals that all NHL fans will still be able to watch the show. Whether it's streaming it through the network's gaming platform apps or some other method remains to be seen, but more information on that subject will be announced next week.